It’s been nice to get reacquainted lately with one of my favorite things to do, drawing black and white illustrations in my moleskin sketchbooks with my favorite mechanical pencil and a Micron pen. 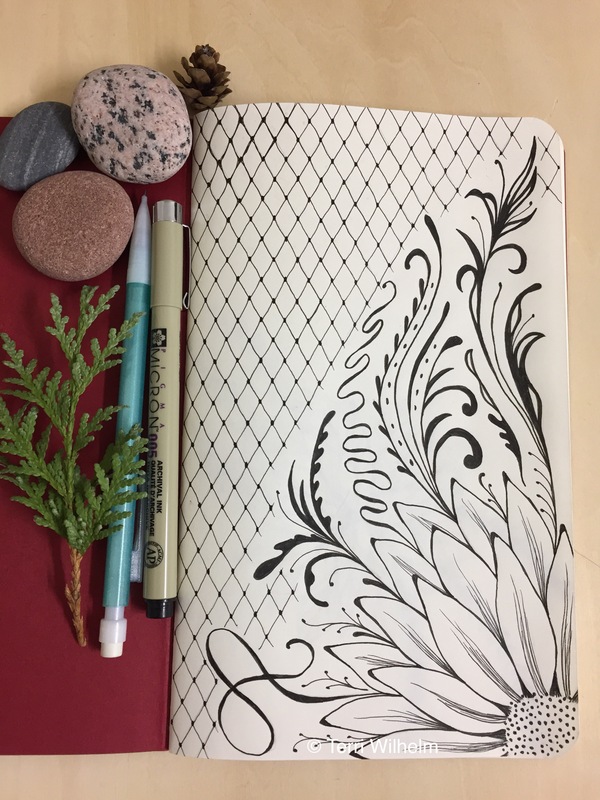 I finished the last page in my recent sketchbook (above), and started a new one (below). In looking through my last few sketchbooks, I discovered I like to go big on the first page. I used to have such a phobia for messing up that first page! 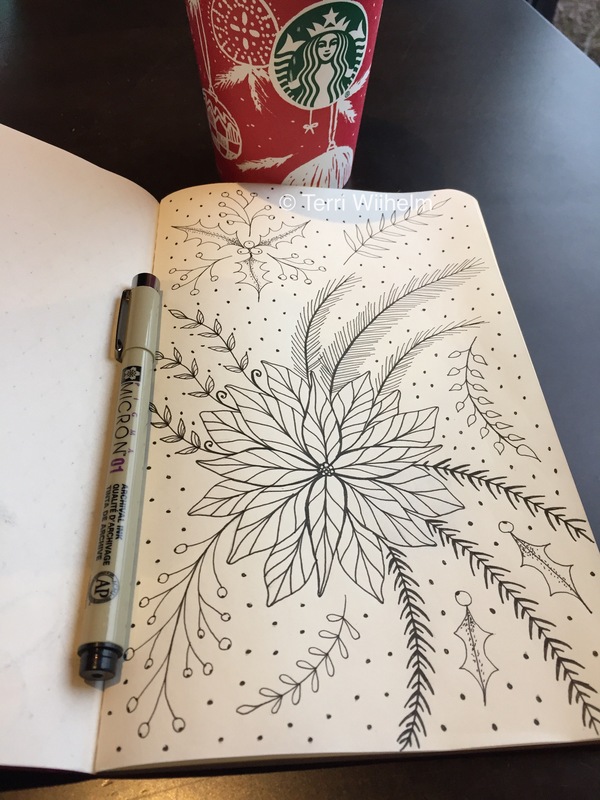 I managed to squeeze in a little coffee shop sketching around the holidays. In order to continue my mission to draw all the time and fill up more sketchbooks in 2016, I’ve been busy working on a new theme of drawings each week. At the end of the week, it’s nice to have lots of new drawings and a full page illustration. And I’m learning how to draw so many new things this year, which is really exciting! Only eight weeks left in this challenge. 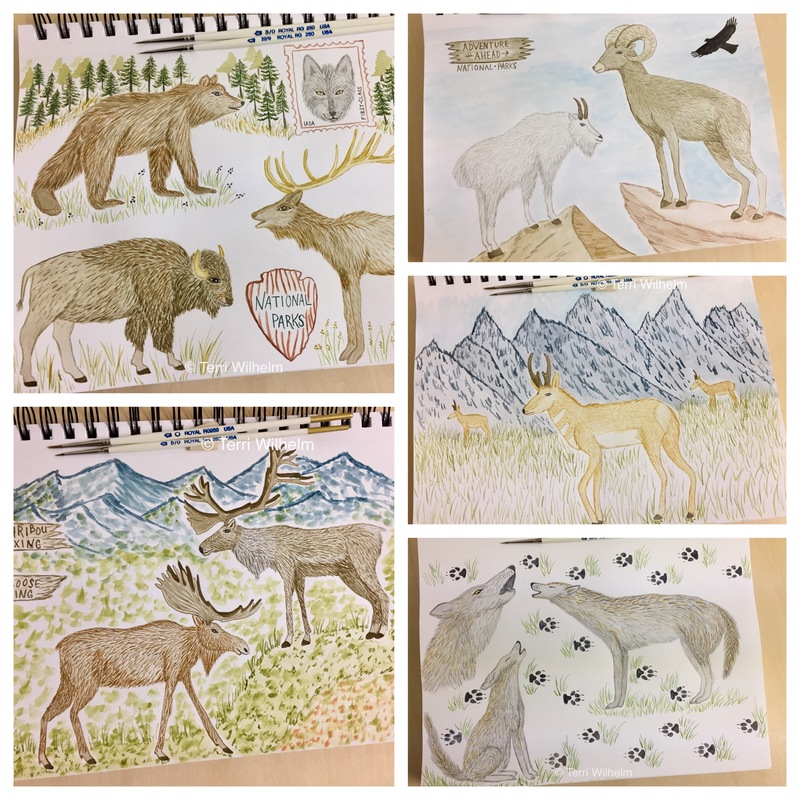 I finished a fun series of illustrations in October for my animal art series with the theme national parks wildlife. 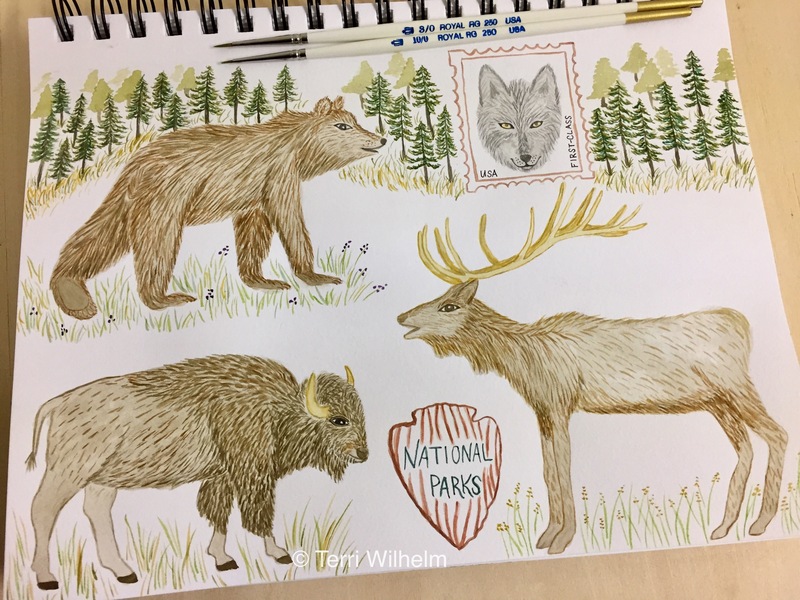 It will be fun to use these animal drawings for a series of illustrated maps of the national parks. Or turn them into postcards. Happy drawing! 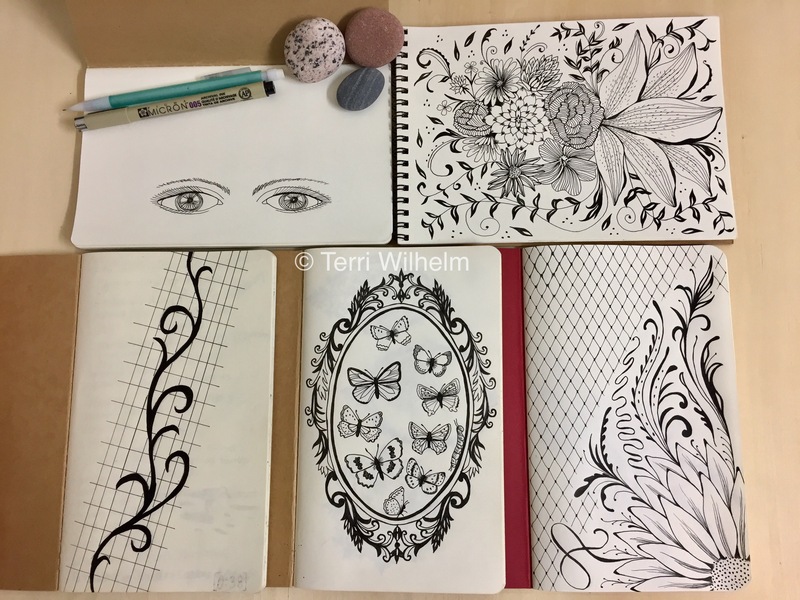 In order to continue my mission to draw all the time and fill up more sketchbooks in 2016, I’ve been busy working on a new theme of drawings each week. 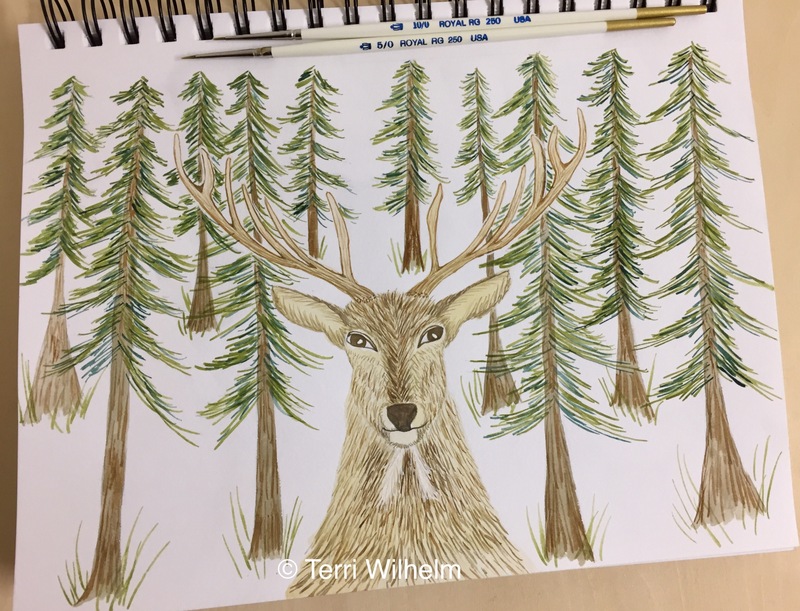 At the end of the week, it’s nice to have lots of new drawings and a full page illustration. And I’m learning how to draw so many new animals this year, which is really exciting! 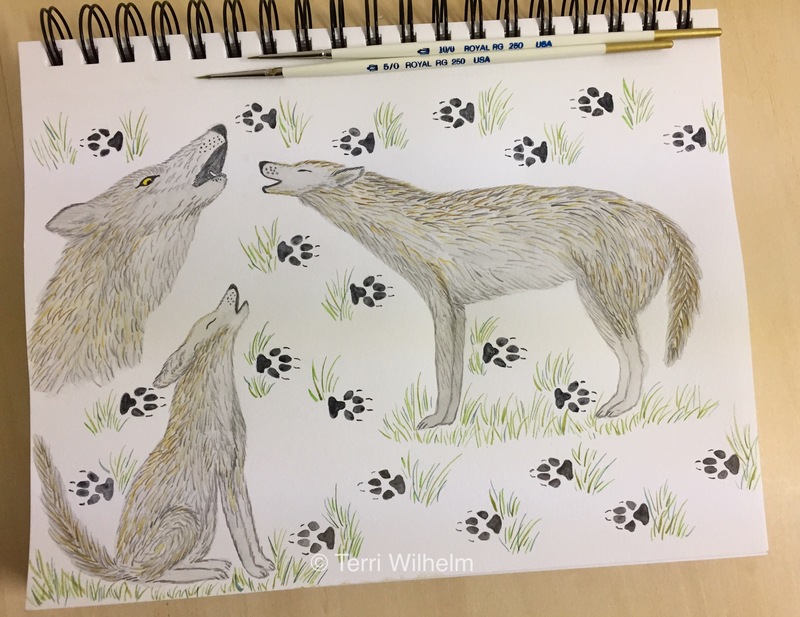 My theme for October is national parks wildlife, so week 41 in my animal art series features grey wolf studies. Grey wolves are known for roaming freely in Yellowstone National Park since being reintroduced in the mid-90s. They are a pack animal that live with a close-knit crew of 4-7 wolves. It’s great to learn there are about 75 different packs in the greater Yellowstone region. This page was fun to add some wolf tracks as a background pattern. 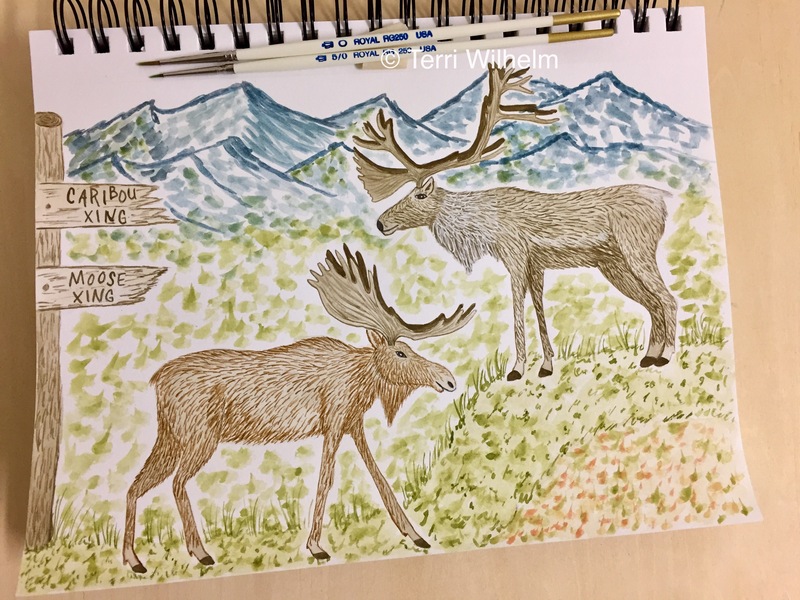 At the end of this month’s theme, it would be fun to use these animal drawings for a series of illustrated maps of the national parks.